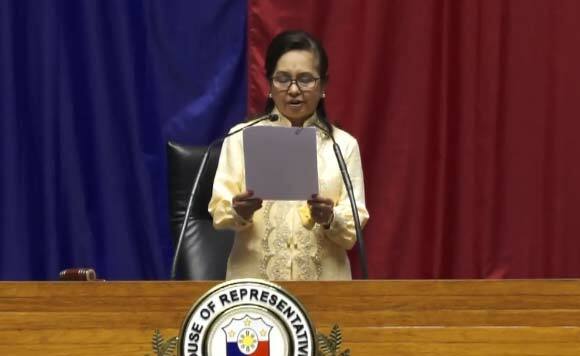 House Speaker Gloria Macapagal Arroyo gave a two thumbs up to lawmakers during the adjournment of the 17th session of the Philippine Congress to give way for the campaign period. The former president assumed the House speakership last July, replacing Davao del Norte Rep. Pantaleon Alvarez. Looks like “Madame Speaker” still has a lot more work planned!